Fabric & Handle is a handmade business that makes & sells versatile, adjustable, and fashionable handbags that are made with a timeless design. 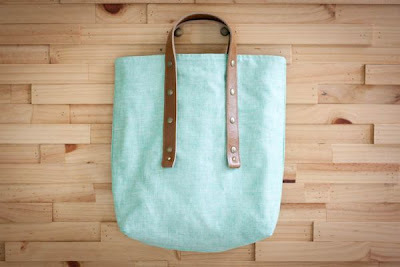 You can choose the type of strap, the fabric of the bag, the size of the strap, etc. Everything is adjustable to your needs, which makes it the perfect bag! I chose the Paige shopping tote because of the color and y'all...I use this bag EVERY.SINGLE.DAY and when I try to change it up with a different bag, it never lasts for more than a day because I always switch back over. It's that great! Founded in 2006 by Salinya Suthinarakorn, our mission has been the same for the last few years. 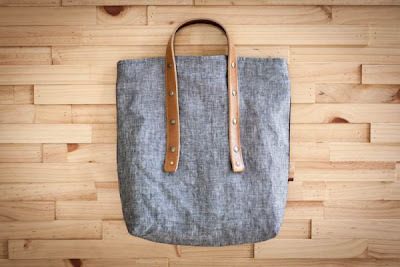 Creating well designed, useful and stylish bags. We work with a small team of tailors and leather workers to guarantee the quality of our handmade bags. We believe that besides good design, it is craftsmanship and attention to detail that make the difference. 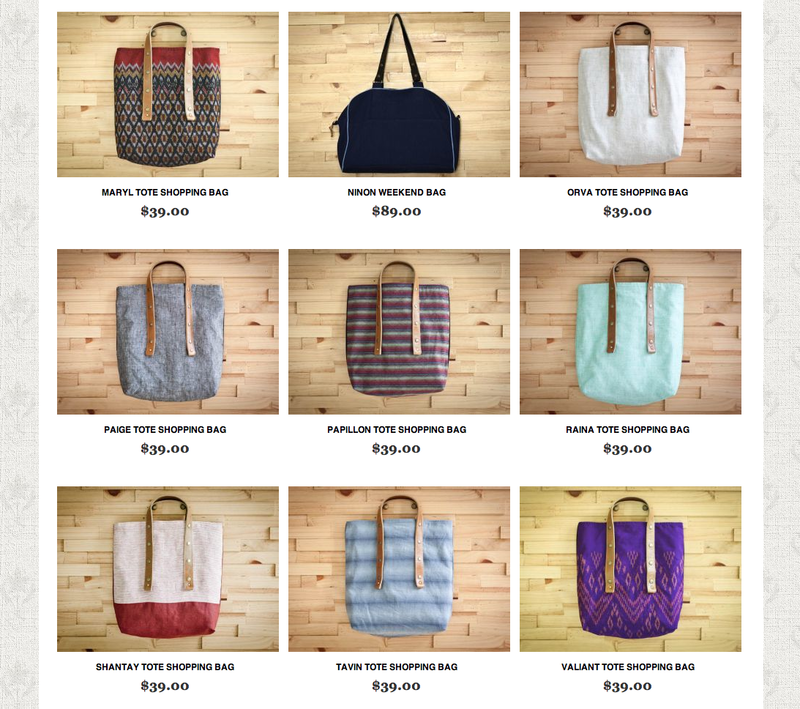 I also can't get over how affordable these bags are for how well made, pretty, and sturdy they are. Which is why I'll be purchasing this beauty ((The Raina)) soon! :) $39?! What a steal. Sign up for the newsletter or check out their facebook page and you'll find a sweet little discount code! Cute - I love that the bags are customisable and that they're so affordable! Awesooome! Love their bags! I just liked their FB page and was about to go buy the Raina bag! I didn't see their discount code on their FB page though. Do you know when it'll be up? ohhh what a super cute bag!! love that it is customizable!! I just saw these bags the other day and I'm absolutely in love! I've been in desperate need of a new tote as I've been carrying my life (+ some) in my bag lately. I'm thinking of either the Orva or the Claire, but I simply can't decide! Love that its handmade. Makes it SO worth it. super nice, i love the colors! 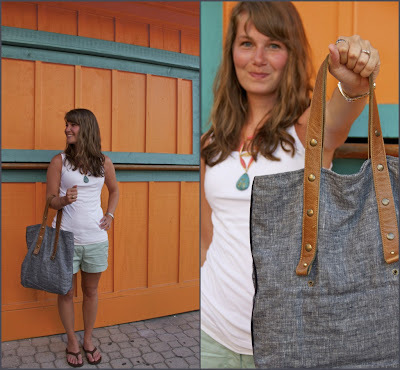 perfect for beach trips and stopping into the farmer's market...hmm.. I have the exact same one! Love it! you had this at CE, right?! i love it - esp those bright colorful ones!!!! they're lovely! I'd choose the one you have, too- I love chambray! That bag is just divine-so stylish and functional! those are fantastic! i really love The Raina - what a pretty color!